PRN (Professional Registry for the Northside. Inc.) is a fully licensed Private Home Care Provider in the state of Georgia.PRN is a locally owned and operated Nurses' Registry that provides referral services for Registered Nurses (RNs) and Licensed Practical Nurses (LPNs) to clients in the Atlanta metropolitan area. 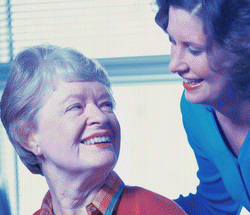 For over 41 years PRN has assisted families in the Atlanta area with nursing care. We refer nurses who are committed to providing skilled, professional, safe and loving care. We are fully insured and licensed under the Georgia Department of Community Health as a Private Home Care Provider in Georgia. PRN remains the premier, most respected and trusted source for nurses in the Atlanta area.